At the age of fourteen, György Köves is plucked from his home in a Jewish section of Budapest and, without any particular malice, placed on a train to Auschwitz. He does not understand the reason for his fate. He doesn't particularly think of himself as Jewish. And his fellow prisoners, who decry his lack of Yiddish, keep telling him, "You are no Jew." In the lowest circle of the Holocaust, György remains an outsider.The genius of Imre Kertész's unblinking novel lies in its refusal to mitigate the strangeness of its events-not least of which is György's dogmatic insistence on making sense of what he witnesses, or pretending that what he witnesses makes sense. 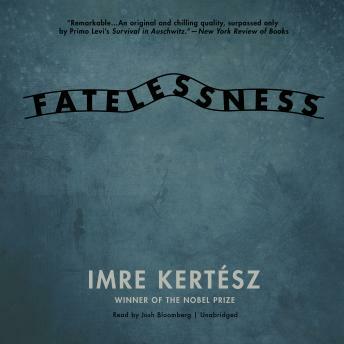 Haunting, evocative, and all the more horrifying for its rigorous avoidance of sentiment, Fatelessness is a masterpiece in the traditions of Primo Levi, Elie Wiesel, and Tadeusz Borowski.